HAMILTON -- Ontario's Liberal premier says her first priority if re-elected will be to support the province's steel industry in the wake of newly announced U.S. trade tariffs. Kathleen Wynne, who is days away from a provincial election, said Friday that her Liberals would provide support equal to "half the hardship" incurred as a result of the tariffs, and called on the federal government to cover the other half. "The tariffs on steel and aluminum exports imposed by (U.S. President Donald) Trump yesterday are completely unacceptable to me," Wynne said at a campaign event near Hamilton, one of Ontario's steel-producing cities. 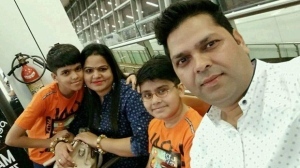 "They just make no sense and they put so many families at risk." Provincial support could take the form of worker training or education but the Liberal party is still figuring out how to best support the industry if the tariffs persist, Wynne said. Prime Minister Justin Trudeau has said Ottawa will work with Canadian companies hit by the tariffs to protect jobs and workers but hasn't offered further details. On Thursday, he announced retaliatory dollar-for-dollar tariff "countermeasures" on up to $16.6 billion worth of American imports. Wynne told reporters she is "150 per cent committed" to Trudeau's response. "When you're being bullied you have to stand up to the bully," she said. "You have to say 'We're not going to take this, we are going to push back in order to protect our workers, their families, our communities." 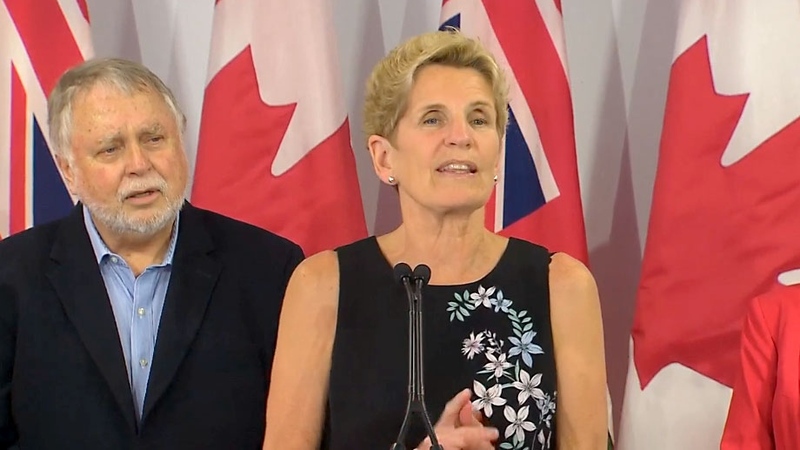 Former Liberal prime minister Paul Martin, campaigning with Wynne in Waterloo, Ont., on Friday afternoon, applauded the federal government's "very strong" stance on U.S. tariffs. "We are going to do far better than anybody thinks," Martin said. "The reason is the strenght of the government's response and the kinds of things that Premier Wynne has done." Wynne said she will fight for the tariffs to be repealed and, until then, to make sure Ontario's steel industry has the necessary support to remain competitive. She also criticized Tory Leader Doug Ford -- who she said has not responded to her call for united opposition to the tariffs -- and NDP Leader Andrea Horwath, who has said Wynne and Trudeau could have done more to prevent the tariffs. The premier said she has met with dozens of U.S. politicians to talk about trade and called Horwath's response to the tariffs "inadequate." Wynne's criticism of her rivals comes as recent polls suggest either Horwath or Ford could be the next premier. Kathleen Wynne speaks to reporters on June 1, 2018.